This informative guide explores how paperless contract management software improves six key phases of the contract management lifecycle. Inefficiency in how contracts are managed causes lengthy reviews and adds to the costs of handling contracts. 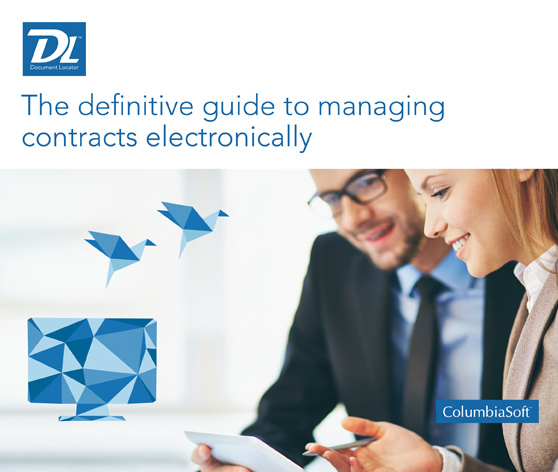 Download our guide and learn how a paperless approach to contract document management reduces business costs and mitigates legal risk, as well as how improvements in all contract lifecycle management processes; initiation, authoring, approval, negotiation, execution, and renewal will maximizes the value of contracts in your organization. Complete the form to request a copy of this informative guide. Complete the form below to read the ePaper.